Have you tried playing walking bass lines but keep finding them not quite right? Do you find yourself thinking so much about note choice that you can’t get in the groove of the music? Do you dream of playing bass lines like legendary bassists like Ron Carter, Charles Mingus, Paul Chambers or Jaco? 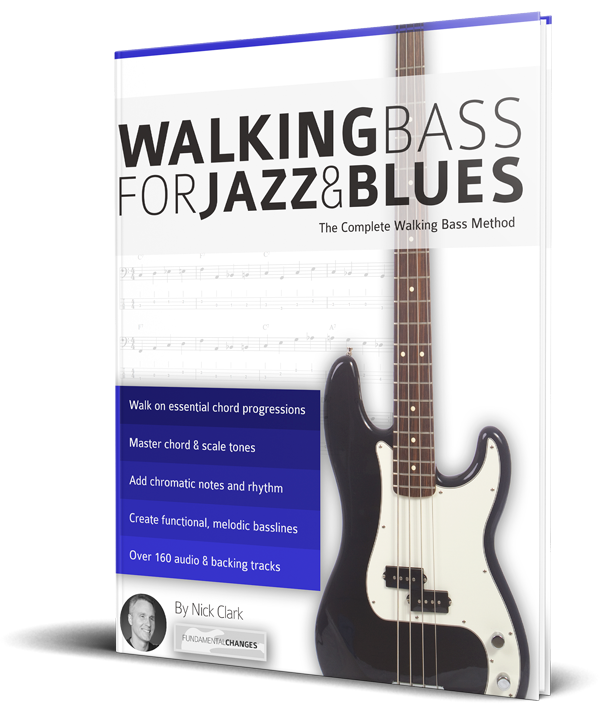 Walking Bass for Jazz and Blues is a complete method to help beginners master each element of Blues and Jazz walking bass. It is designed to develop strong harmonic skills, rhythm, phrasing and note choice. 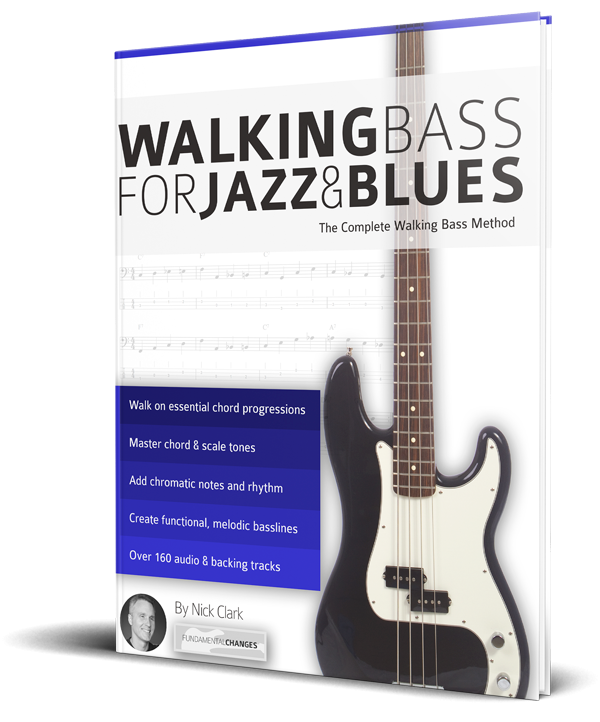 • A complete guide to walking bass lines so you learn how to play on the most common chord changes in blues and jazz. • Learn basic and advanced techniques like arpeggio and scale choice, chromatic approaches, standard patterns and rhythmic ideas. 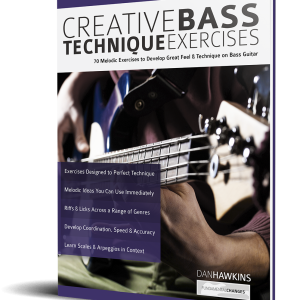 Plus…There are plenty of walking bass secrets thrown in too… so you’ll need to pay attention! 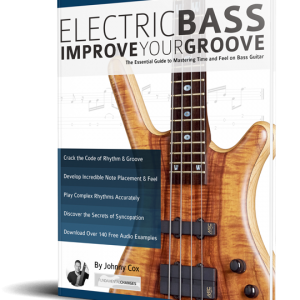 Mastering the skills in this book will free your mind from thinking too much about the neck when playing, as well as teaching your ears to hear the right lines to play at exactly the right time. 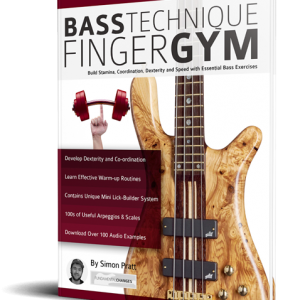 While your ultimate goal may be to become the next Jaco Pastorius, this book will teach you the roots of the essential walking bass style. 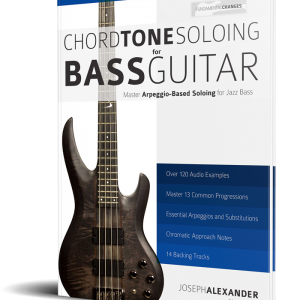 It will help you build the foundational arpeggios, scales, and chromatic approaches you need to walk like a pro and groove like your favourite bass players.